The Rabbitohs want nothing other than a dominant win to end the regular season. The Tigers will throw caution to the wind, and try finish the season with a win. Souths have been flat the last couple of weeks, so they’ll need to find some life within for their finals campaign. I can see plenty of points in this one. Souths can score ‘em, and the Tigers will be out there just having some fun. Should be a good watch. 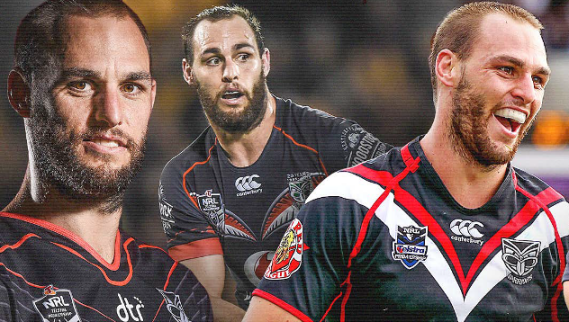 This is all about Simon Mannering’s 300th game. The Warriors would love nothing more than to win in what is potentially their last home game of the year. Don’t count out the Raiders, though. They’ve upset two top eight teams in the last two weeks and would love to spoil the party. The Warriors have made the finals for the first time in seven years, and a win would really help their chances with momentum. Mannering to score his first try of the season. Penrith look to be on a horrible downward slide of form. After being accounted for the last two weeks, you’d imagine the Storm would discard of them again. The Panthers have James Maloney back from injury, which is a huge inclusion for their game management. It might be too little, too late. The Storm will be looking to lock up the J J Giltinan shield for the Minor Premiership with a win. Plenty on the line here. The Knights would fancy their chances of upsetting the Dragons after the Red V failed to show last week. Newcastle’s last home game of a somewhat successful season, it’d be a great way to cap it off. The Red V need something here. A showing of spirit, or even just some points on the board. A lot of pressure is on Ben Hunt to deliver. I feel a tight, ugly match on the cards. For the first time in a long time, the Titans have sold out their stadium. Nothing to do with them, though. It’s all about Johnathan Thurston. After he orchestrated a massive win last week, he’s looking to bow out doing the same. The Titans should put up more of a defence though – but the Cowboys are finishing their season strong. It’ll be a fitting farewell for their champion, and the greatest of all time. The Eels will be picking up the Wooden Spoon, and the Roosters could win the J J Giltinan Shield if the Storm lose. This competition is so close, so there’s so much to play for in the top eight. The Eels though, well their season has been nothing short of abysmal. Coach Brad Arthur promised no more wooden spoons, but nevermind! Roosters are too good across the park. They have the Eels number for sure. They’ll obliterate them. The Bulldogs have been in some form over the last five weeks. Majority of their eight wins have come in this period. They might have one more top eight team to knock off before the seasons end. Cronulla will have done their homework on Canterbury Bankstown. They know just how dangerous they are. If Cronulla lose, they may drop out of the top four. A dangerous prospect. The Bulldogs will throw the kitchen sink at them. Should be an interesting match. The last time Brisbane played on a Sunday at home, they got spanked. Hard to see Manly do similar to the Broncos, but with nothing to play for, anything’s possible. For Brisbane, their equation is simple. Just win, and win by as much as you can. For Manly, they will just want their horrible season to come to an end. They can’t win the wooden spoon, so but they will more than likely finish second to last.